女人我最大 (Lady First) is a Taiwanese beauty variety show I’ve been watching ever since I started learning how to dress up and makeup. My favourite “teacher” is Tang Li Qi 唐立淇, the horoscope expert who always provides love and career horoscope forecasts for the coming months and also little tests about one’s character. Besides her, Niu Er 牛尔老师, Kelvin and Xiao Kai 小凯 are the beauty and makeup experts who always provide info on the latest products and tips which are simple enough to follow. However, the things that don’t really apply are their seasonal skin care guides as well as fashion tips as Singapore is an all-year round humid country with only rain and sunshine. 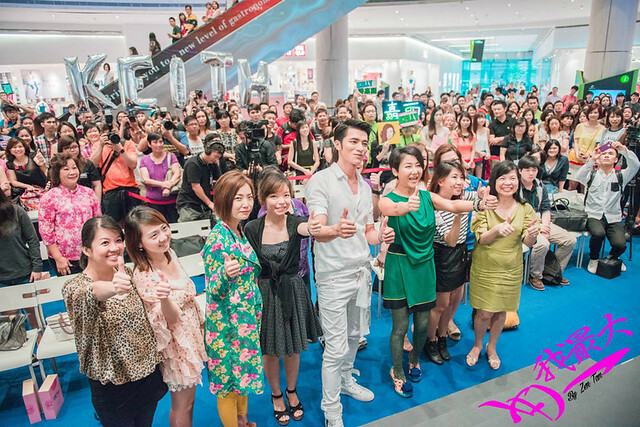 So last year, when Starhub Cable TV brought Lady First to Singapore, I was overjoyed! Lady First Singapore 女人我最大 新加坡 is a collaboration among Starhub, Hong Kong TVBI and its Taiwanese arm TVBS, with Pauline Lam as the anchor. According to the Head of Media Business Unit of Starhub, the viewership (last year) was over three times higher than the previous programme in the same timebelt, and even had a positive knock-on effect on the viewership for the original Taiwanese Lady First programme, also available on Starhub TV. 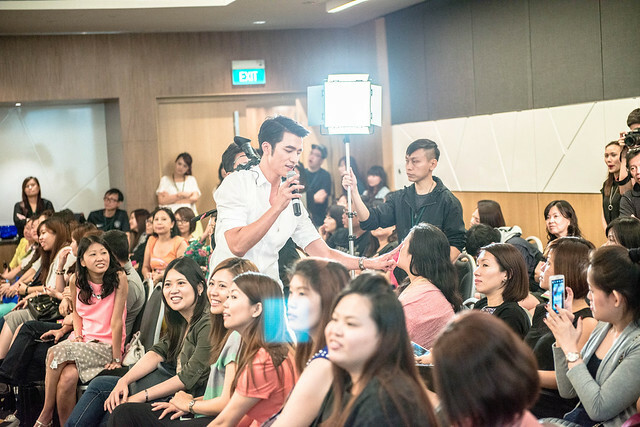 I was hoping to be able to get involved in this popular beauty show someday, and my prayers were somehow answered when I had the opportunity to attend the Lady First media event and beauty workshop by Xiao Kai 小凯, thanks to Yuki, who’s StarHub’s Community Beauty Ambassador. 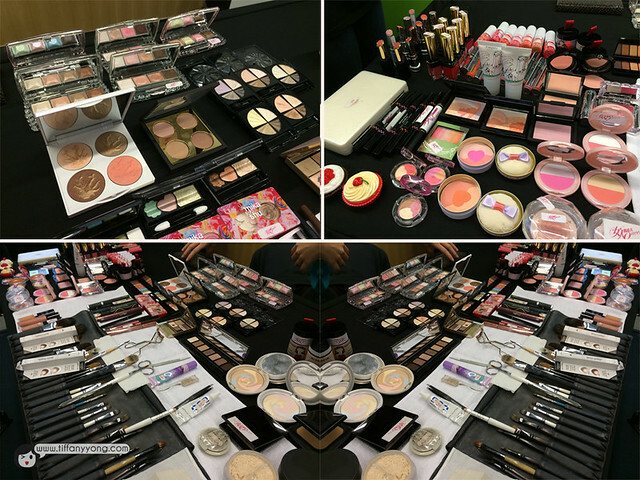 He brought two tables-full of the latest cosmetics to share with the audience, and some of them were not even out on the market yet! He taught quite a few simple but useful tips, such as using falsies (fake eyelashes) to enhance our eyes, using red lipstick correctly to enhance our face and the use of concealer to conceal our spots. Well, if you are wondering why I am on stage with the suave makeup guru, I got a chance to answer the simplest (last) question with the most prizes. I didn’t really expect to go up answering such a question, but well, for the chance to take a photo with the guru, it’s worth it! 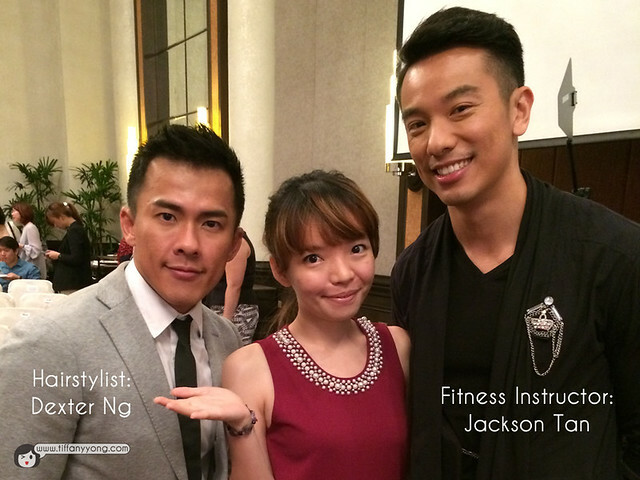 Besides famous stylist Keith Png, the show will have Dexter Ng (celebrity hairstylist) and Jackson Tan (fitness instructor) who will be providing tips on hair maintenance as well as simple ways to keep your body fit and toned! Here’s a video where Jackson Tan teaches you how to keep your limbs toned up using daily things you see at home! The teacher that caught my attention even before watching the show is Singapore’s skincare guru Bryan Gan. Within 7 minutes of being on stage, he managed to provide a lot of useful information for ladies with lots of acne and hormonal problems like me. I really like the fun acupoint exercise he taught (Ok, I have to admit I forgot the exact steps) where it can help with whitening and detox. 《女人我最大-新加坡2》Lady First- Singapore premiered on E City 都会台 (Starhub TV Channel 111/825) on 3rd June 2014, showing every Tuesday at 8pm. There will be an episode specially targeting the men. Non-mandarin speaking viewers will also get to enjoy the show as season two come with English subtitles for the first time. It will also be available on StarHub TV Anywhere, so viewers can gain anytime, anywhere access to the programme. 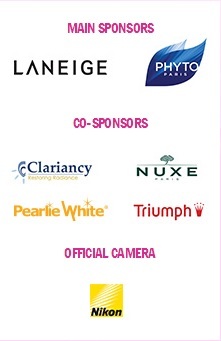 As all the products will be masked out to preserve the integrity of the programme, presenting unbiased tips and recommendation, so to find out the featured Products on Lady First Singapore Season 2, you can visit the microsite to view the products! For me, I’m looking forward to the episode “Thigh-tanic” to see what the gurus will recommend to slim down thighs!